“BIESSE Flasher” is a device which gives the possibility to our costumer to tune use our calibrations in autonomous way, without the necessity to come to our workshop. This system represents an amazing solution for all the people who live far from our facility and want to tune their car with our technology. “Biesse Flasher” is available for all cars that support OBDII programming, through the diagnosis port. For all the cars not tunable with this system for the moment is still necessary to visit us win our workshop. The tools can also restore the ECU to the factory set up with original file to avoid all the possible issue with car warranty. Under request you can upload on the device more than one calibration. For example you can choose between a soft tune for daily commute and a stronger one for the track day event. You can also update the tune after installing new components on your car. 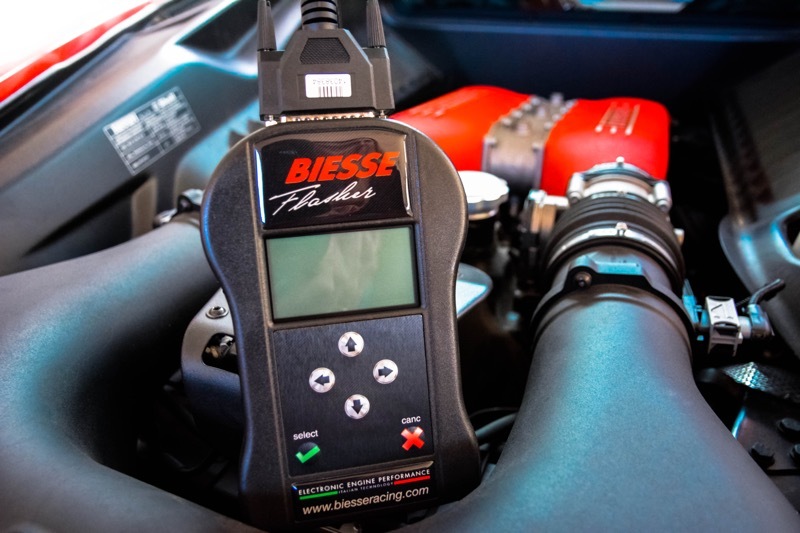 If you fit a sport exhaust you can ask for step2 calibration even after the BIESSE Flasher purchase. How many cars does the BIESSE Flasher support? The flasher can be associated to only 1 VIN number. The first vehicle’s chassis number will be registered during original file reading and the device will work only on that car. Is not possible to use the device on a bigger number of cars even if the owner is the same. Connect the device to your car using the OBDII cable you find in the package. Start the automatic procedure of the original ECU file reading. Send the original calibration to our technician. Once you have completed the guided procedure we will send the tuned file you have asked for. 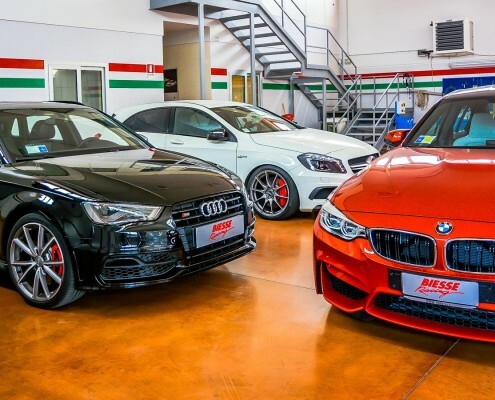 You just have to connect the device to re-program the ECU and enjoy the upgraded performance of your car.